A truly knowledgeable and skilled team can make all the difference for your dental experience, which is why we have one of the best ones around! Many members of our team have been with us for over a decade, meaning that they’ll know exactly what you need both before and after your appointment to make sure you have the smoothest and easiest visit possible. Thanks to their spirit and expertise, we bet you’ll actually look forward to your next dental visit! 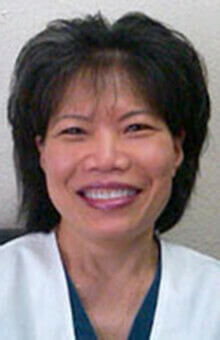 For more than two decades, Susan has provided outstanding service for dental patients as a dental assistant. 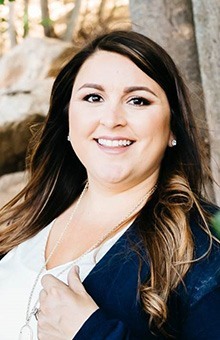 She joined our team as an office manager in 2011, and since that time, she’s greatly enjoyed building relationships with every patient sees to ensure they feel welcome and relaxed in our practice. A Houston, TX native, Susan and her husband are the proud parents of four children, and they have one granddaughter. She loves music and was even in a band. 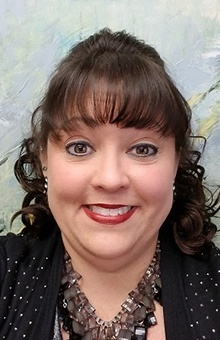 Elizabeth has more than a decade of dental experience, and she joined our team in 2015. She provides all of our patients with a warm welcome, takes the time to answer questions carefully, and just loves working people to enjoy their dental experience. Elizabeth grew up in Lima, Ohio where she graduated from high school, and she went on to study at The Ohio State University in Columbus. Happily married, Elizabeth and her husband have two children and are expecting their sixth grandchild in 2017. She loves playing the “humbling” sport of golf, completing home remodeling projects, and taking care of her three dogs. Jillian is originally from San Diego, born and raised. She is new to Houston and enjoys exploring everything the city has to offer. She met the love of her life at her sister’s wedding and now they are planning their own wedding. She is the oldest of three siblings and comes from a big family that all still live in the San Diego area. She loves being a part of a big family and says there is never a dull moment. She joined Dr. Rich’s team in 2018 and loves working with her amazing set of co-workers. 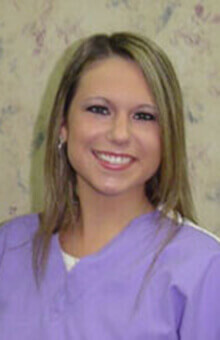 She has been in the dental field for almost 4 years and enjoys every minute of being a dental hygienist. She received her dental hygiene degree from San Joaquin Valley College in San Diego and knew it was where she was supposed to be ever since the 4th grade, where she was given a project to research a future career. Now in her dream career, she is happy to work with Dr. Rich and her team to help establish the best dental care for their patients. She strives to always make patients feel comfortable and looking forward to their next visit. Jillian looks forward to meeting all of the great and amazing patients that Dr. Rich has. She can’t wait to meet you. Amanda has been with our practice for more than a decade. She strives to create meaningful patient relationships, so everyone she treats will feel welcome and at east throughout their dental office visits. She is a Houston, TX native, and studied at Lone Star College. Amanda is certified in nitrous oxide monitoring. Happily married, she and her husband have three sons. When she has the time, Amanda enjoys spending time on the water, being outside, camping, and vacationing. For more than four decades, Lan has shared her skill and compassion with dental patients, and she joined our dentistry office in 2011. Lan works hard to build meaningful relationships with each patient, and she tries to inspire her patients to enjoy caring for their smiles. 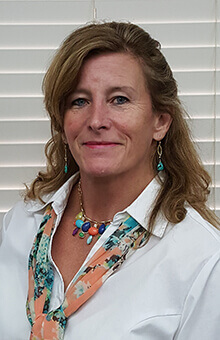 Lan studied dental assisting, and earned her certification in dental assisting from the Houston District Dental Society in 1989. She is also radiology certified through the State of Texas. Lan enjoys giving back to communities around the world, and she volunteered for Doctors Without Borders in Thailand in the 1980s and San Jose in the 1990s. Originally from Vietnam, Lan has been married for more than thirty years. She enjoys gardening, sewing, fishing, crabbing, walking, and reading. Diana has worked in dentistry since 2011, and she joined our team in 2015. Diana is passionate about helping patients of all ages enjoy their appointments in our office, feel completely comfortable, and look forward to visiting the dentist. 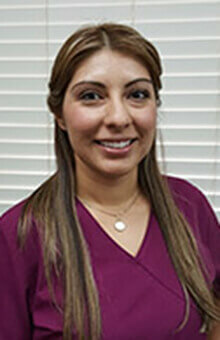 Diana studied at Lone Star College, and she is hygiene assistant certified by the State of Texas Academy of General Dentistry. She also holds certification in coronal polishing and pit and fissure sealants. Originally from Mexico, Diana is happily married, and she and her husband have one dog, Odin. She spends her free time with her husband, friends, and family, watching movies, and reading.